M1 Derbyshire - M1 entry slip road partially blocked northbound at M1, Tibshelf Services, because of a broken down vehicle. Traffic is coping well. Tom Ballard went missing trying to reach the summit of a peak known as "Killer Mountain" in Pakistan. Confectionery has been made at the Leicester factory for more than a century. Today's updates have now come to an end. Join us from 08:00 tomorrow for more news, sport, travel and weather for the East Midlands. Tom Ballard, who is reported missing in Pakistan with Italian Daniele Nardi, grew up in the Scottish Highlands. Remaining rather cloudy through this evening and overnight into Friday, with further showers and patchy rain at first. Later in the night, conditions should become mainly dry. Turning misty in places. A friend of a Derbyshire climber who is missing on one of the world's highest peaks says he's optimistic he'll be found alive. 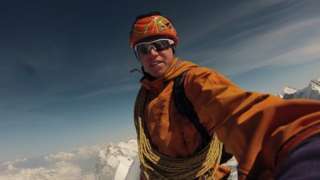 Tom Ballard, 30, and Italian Daniele Nardi last made contact on Sunday, from an altitude of about 6,300m (20,669ft) on Nanga Parbat in Pakistan. Mr Ballard, who grew up in the Highlands, is the son of Alison Hargreaves, who died on K2 in 1995. Friend Ian Sykes said Mr Ballard was a talented and experienced climber. He said: "Tom learned to ski from an early age and has been a climber from the cot upwards." Sad times for Claudio Ranieri - the man who led Leicester City to the Premier League title three years ago has been sacked by Fulham after three months in charge. The Cottagers won only three league games out of 16 under the Italian, including a 3-2 win over Southampton in his first match. Derby City Council and Derbyshire County Council have said they're "considering all options" when it comes to Sinfin's troubled waste treatment plant. The authorities met this afternoon to decide the way forward - and say they're ramping up the pressure on company RRS to get the delayed facility - which has been opposed by a number of local residents - up-and-running. The councils say they're also speaking to the firm's banks, who lent them the money to build the plant. They say they could, as a last resort, terminate the contract. RRS says it's continuing to work to bring the waste plant into full service. A war hero from Long Eaton has been awarded France's highest military honour for his part in the famous D-Day landings. Herbert Thorpe, 95, was part of Royal Navy crew that created a smokescreen so German forces could not see the Allied fleet approaching the shores of Normandy in 1944. He was formally handed the medal earlier today by Jean-Claude LaFontaine, the Honorary French Consul for the East Midlands, at a ceremony organised by Erewash Borough Council. 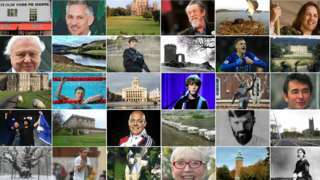 Mr Thorpe said: "I never would have thought people would be so interested. It's surprised me and I bless everybody." A 94-year-old woman has been the victim of a distraction burglary in Bilborough. The pensioner told police she had been talking to two men who knocked on her back door when a third man entered through the front door and took a handbag containing cash and her pension book. Police have appealed for information on the burglary, which happened in Bilborough Road yesterday morning. A fundraising appeal has been started to help a pregnant young cat with a serious eye condition. Misty was handed to the RSPCA by her owner after she fell pregnant when she was only a few months old. As a result of a virus as a kitten, one of Misty's eyes severely protrudes while the other has not developed at all. The RSPCA is now aiming to raise £2,000 to pay for the care of her litter when they are born and possible medical intervention on her eye problem. Georgina Wild, from the charity, said: "As Misty is so young herself it is unlikely she will have much maternal instinct when her kittens arrive. Therefore it is extremely likely that each kitten will need to be hand-reared to ensure they stay as healthy as possible. "It may be that Misty will also be required to have an operation to alleviate the pressure on her eye, which may result in her losing her eye." The charity said the cash will also go towards ongoing antibiotics, pain relief and specialist food. 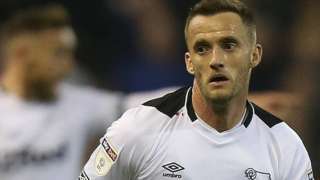 Derby County midfielder Andy King will miss the rest of the season with an ankle injury. The union for workers at the Fox's Glacier Mints factory in Leicester have said news of its potential closure is "devastating". The brand's owner is consulting on plans to close the site on Sunningdale Road as part of a merger deal with another confectionery company. Usdaw said staff were "very upset" and that a closure would be a "blow for Leicester". Alex Fraser, from the union, said: “We will now enter into meaningful consultation talks with the company, where we will examine the business case for the closure of this site. There's more to Wollaton Park than deers - check out this beautiful male mandarin duck that's been wowing visitors to the lake in recent months. Frank Lampard has confirmed Andy King will miss the rest of the season with an ankle injury. The 30-year-old Leicester City midfielder only joined the Rams on loan last month. M1 Leicestershire northbound severe disruption, between J23A for A453 Ashby Road Derby and J24 for A50 Nottingham South. M1 Leicestershire - One lane closed on M1 northbound between J23a, A453 (Derby) and J24, A50 (Nottingham South), because of a broken down vehicle. 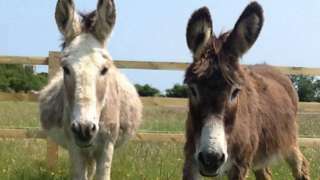 Staff at Radcliffe Donkey Sanctuary in Huttoft said magpies were picking on the elderly animals.